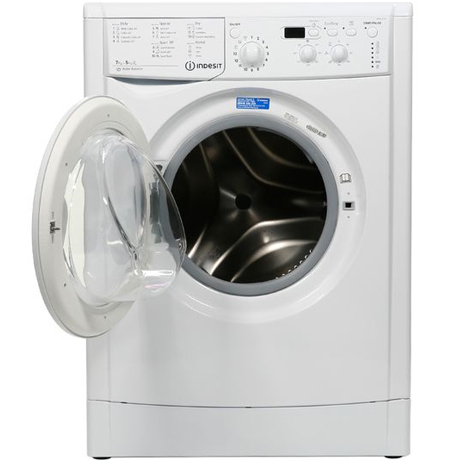 This Indesit Washer Dryer is completely freestanding and boasts an array of features. With a fast, resource-efficient 1400 revolutions per minute spin speed this machine is perfect for those who wish to wash and dry their laundry in one go. Finished in a modern white colour, this machine will fit perfectly into your home. 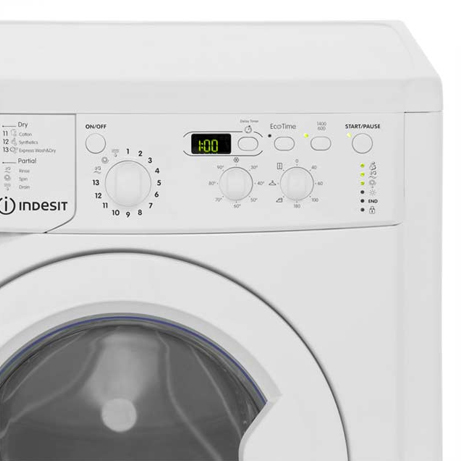 Make your laundry days a whole lot easier with the smart Indesit Ecotime Washer Dryer. You’re spoilt for choice with the Ecotime’s 16 different programmes, providing you with an array of versatile laundry options. Handwash and Wool wash take care of more delicate items, whilst the excellent ‘Jeans’ wash is designed to keep your denim looking great. There’s even a Sports cycle specially designed for all of your non-iron sportswear. The large 7 kg capacity is big enough for a family. A delay timer can be used to schedule the laundry to an ideal time to fit around your busy lifestyle. You can get lightly soiled clothes washed and dried within 45 minutes using the Express Wash & Dry cycle of the machine. Perfect for when you need your favourite shirt washed before you head out, have it cleaned and ready to go in the time it takes you to shower and grab a snack. 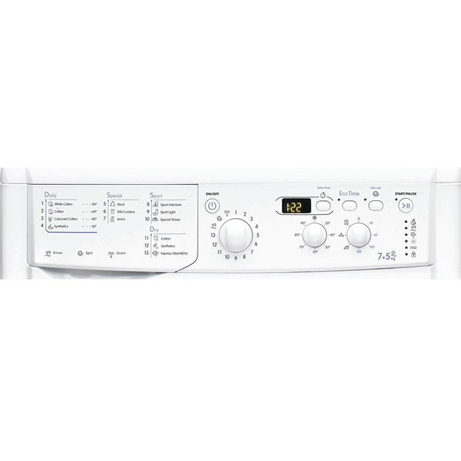 Keep your clothes in pristine condition and looking like new with the Indesit Ecotime Washer Dryer.